New workplace accident statistics from the Health and Safety Executive have shown that there have been three fatal accidents in the Yorkshire construction sector in the last year. This figure makes up half of fatal accidents at work in the construction industry making the county the one with the highest number in the whole of the UK. One of the three accidents recorded involved a moving vehicle which resulted in the death of a member of the public; another was a machinery accident and the other was a fall from height which resulted in a fatality. The construction sector is widely known as being the most dangerous sector for workplace fatalities and accounts for a third of deaths in the workplace. The industry needs to be working harder to prevent such accident according to Rob Morris who is regional secretary for UCATT Yorkshire which is a union he said: “Each of these deaths is an individual tragedy. The high number of deaths in Yorkshire has been at a time when the industry hadn’t recovered or was only just starting to recover from the recession.”He added that it was possible that now the industry is picking up that more accidents could occur. The HSE reports that the amount of people who experience an injury in the construction sector is disproportionate to the number of people who are employed in the industry as a whole. For example, out of the entire workforce in the UK the construction makes up only 5% of that yet almost 30% of fatal injuries are attributed to accidents in the construction industry. 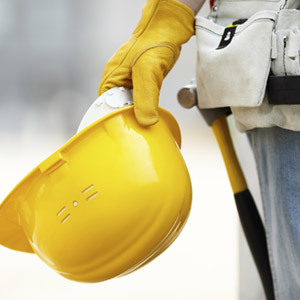 If you have been involved in a construction accident at work or indeed, any other kind of workplace accident then you could be able to make a personal injury claim if the accident was not your fault. Jefferies solicitors are experts in workplace injury claims and can help you if you have had a construction injury at work. Please call our no win no fee solicitors on 0800 342 3206 or complete and online claim form.